Any fan - large industrial, household or computer, the cooler is driven by a motor shaft. To increase the speed of rotation can be increasing the frequency of rotation of the shaft. This can be done by reducing the shaft friction of the sleeve or by increasing the voltage on the windings of the motor. Often during continuous operation the fan speed and created his blades, the air flow begins to decrease. This is due to the fact that the motor shaft is clogged, and the friction to increase. In large industrial fans, the fan blades rotate on a shaft which is mounted on special bearings. 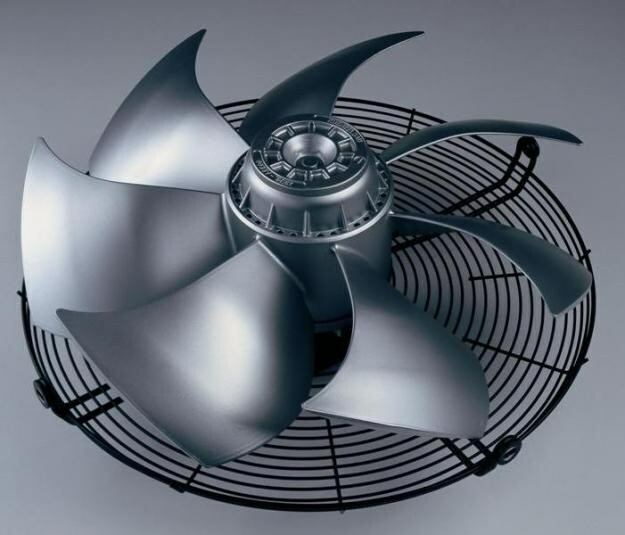 In order to increase the rotation speed of this fan, replace bearings and grease them. In household fans and coolers just the shaft rotates on the mounts. Remove the fan, remove its casing and carefully clean the shaft. To reduce friction you can use a special grease such as technical vaseline to reduce friction on the shaft. If it does not give the desired increase in speed, it is necessary to increase the rotational speed of the engine. Examine the technical documentation to find the fan rated voltage at which it can operate. The rotation speed decrease may be due to the fact that the engine is not supplied the necessary voltage. Measure the voltage supplied to the fan motor terminals with the tester. If it is below par, increase it. This will clean the contacts at the terminals of the motor. If the fan speed does not reach nominal due to insufficient voltage, then connect it via a AC voltage stabilizer. If the fan operation is applied a constant voltage, then increase it via the controller or replace the batteries. The motor voltage should not exceed nominal, otherwise the engine will simply burn out. The rotational speed of the fan motor based on induction motor alternating current, increase with frequency Converter. He joins the motor and changes the frequency of the current in the circuit. Increasing the frequency of the current fed to the windings of such a motor is possible to increase the frequency of its rotation, and therefore rotation speed of the fan.